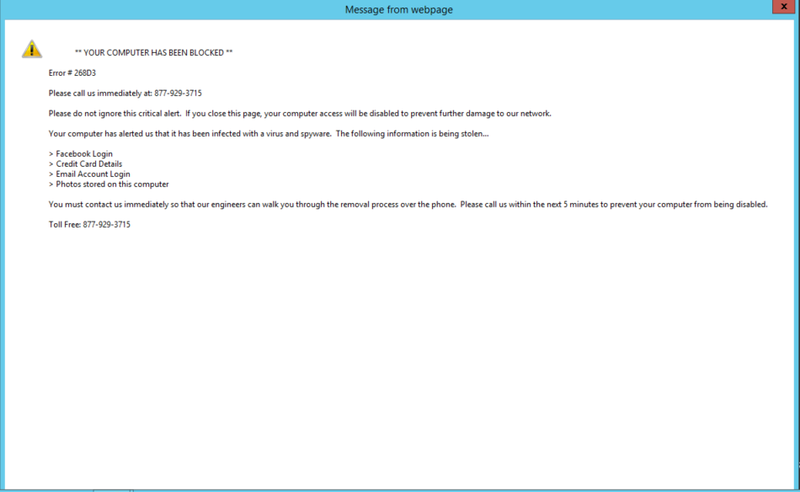 One of the popular malware items now is the call support popup to scare you into thinking you’ve been infected, and you need to call a toll-free number to get support. If you type too fast with google.com, and only get oogle.com, then you will see this first hand. To get rid of this dialog, you have to kill your browser process (CTRL-ALT-DEL, Task Manager, end task on Internet Explorer, Google Chrome, or Mozilla Firefox). If that sounds too complicated, just turn off your computer. Never call the support number!! Clicking the red X to close does not work, as the dialog just continues to pop up again. Previous PostiOS calendarNext PostEver have issues because of a pending reboot?